The Remo Emperor X is one of the thickest drumheads available, and is designed to be able to withstand the heaviest hitting. This is a snare drum head made for loud environments. 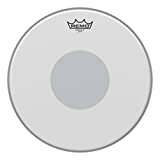 The Remo Emperor X is one of Remo’s most durable snare drum heads available, made with two plies of 10mil film, a top coated layer, plus a 5mil bottom control dot. 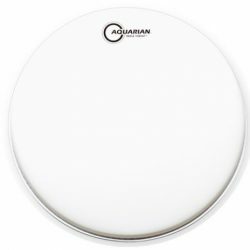 This extremely thick drumhead is designed to withstand heavy use and very hard playing. The overall sound of the Emperor X is big on attack and low on sustain, with a warm and controlled sound. The center control dot helps to reduce overtones, and keeps the sound focused. 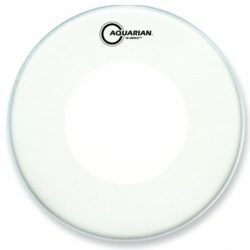 The center dot also adds extra durability, allowing this drumhead to be hit extremely hard without ever flinching. 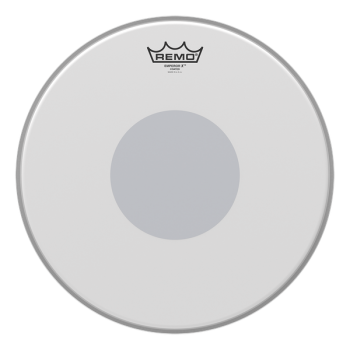 The Remo Emperor X can deliver huge rimshots that will cut through any mix, making this snare drum head perfect for very loud music styles. On toms in loud environments, this head benefits from microphones, otherwise the warmer sound can get lost in the mix. 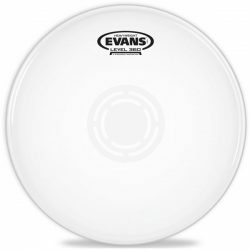 The coated surface responds well to brushes, although the thickness of this drumhead means it is not responsive enough for very light touches. 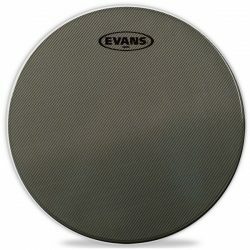 Tuned up high, this snare drum head gives a big and cutting sound. When tuned lower, it delivers a fat, deep, and warm tone. The Emperor X is perfect for high volume live situations, where you need to be heard through a loud mix. 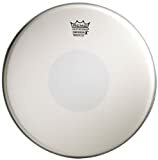 If you play hard and loud, the Remo Emperor X is for you. The Remo Emperor X is designed for snare drums (but will also fit smaller toms). 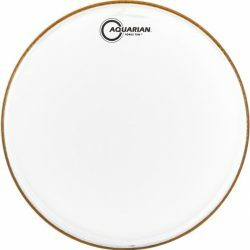 This drumhead comes in 10″, 12″, 13″ and 14″ sizes. 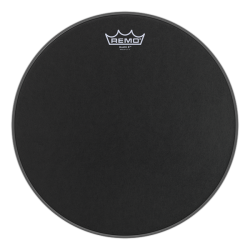 Remo Emperor X Coated Snare Drumhead - Bottom Black Dot, 13"
Remo Emperor X Black Suede Snare Drumhead - Bottom Black Dot, 13"
Remo Emperor X Black Suede Snare Drumhead - Bottom Black Dot, 14"